You are quite right there about the two locations. The first was as you recall after a dip in the road where, I believe from the fuzzy grey zones, the railway ran above the road and the farm was on the left at the top of the rise south of the dip. It is on that farm that I place the two photos here. When Clarke retried he bought a property closer to Oamaru and took the Hudson with him "to restore in his retirement" and that is the second one you recall. It was on a straight stretch of road on the seaward side and across the road from it was either a store or a garage. 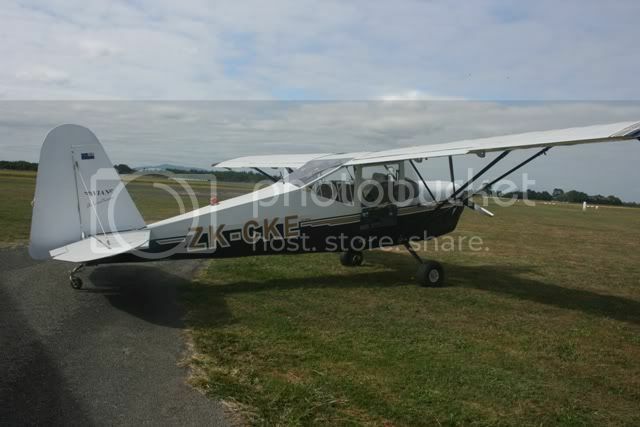 The interesting follow-on from the two photo is that the second one shows the aircraft sitting on the trailer Clarke had made using it's wheels (the near wheel has a piece of wood leaning against it and the other can be made out in the shadow). The first photo has it sitting on it's belly so I would assume at this stage Clarke was using the trailer on the farm, although I can't recall seeing it at any time. He transported the a/c to the retirement farm on said trailer and it was sat in the paddock between the house and the road. Then at one time a storm came through and rolled it onto it's side and that's how it was when I last saw it there. I'm pretty sure that by the time Clarke died and I went to the grand farm clearance auction the a/c had left the site. I tried trawling around Google's various offerings to try and locate the two farms but it appears to me that the SH1 has been re-aligned, which wouldn't be all bad, and so I couldn't get a fix to place them. It's years since I've been down that way. For Denys and David, I just asked Russell Brodie about the locations. he recalls, "From memory it was close enough to sh1 to be seen from the road - I know as a kid I always looked out for it ! Also from memory it was on the east side of the road just north of the little settlement of Alma ( south of Oamaru ) Hope that's some help." That would be another Hudson on the Otago Peninsula, not 2013. 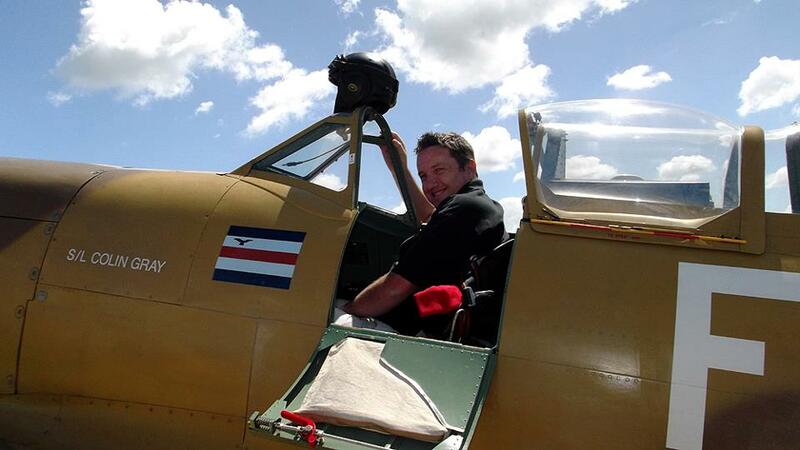 Cannot recall its number, but I think it was another bare metal one, but with a yellow rear fuselage band. Shouldn't be too hard to work out which one, possibly purchased by a chap by the name of Carr. My spotters/neg book isnt much help here, the first trip seems to have been Jan 1963 , then again in Dec 65 . Sorry for the delay in part 2 , but photobucket has been down when we are trying to load the shots. I had a chat with a local, as in Heathcote not Oamaru, who has worked in the rural sector for many years and knew where the Hudson sat back in time. He confirmed my recollections of the road, the rail overpass etc and also subsequent road re-alingment. 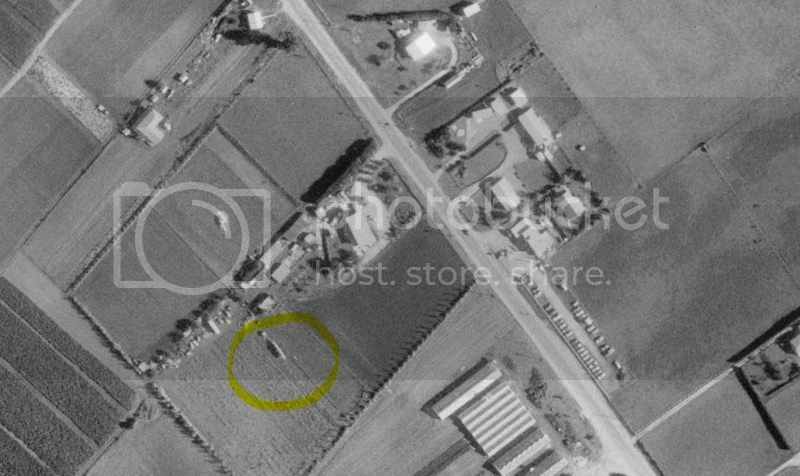 Based on this the Clarke original farm was in the ellipse shown here on the right (north is upwards) and it seems the farm house and sheds have been erased by the road alterations. The shape and size looks correct and the location opposite the service station fits. 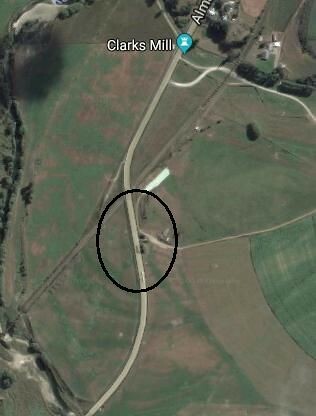 I tried looking in the indicated area at Maheno earlier - both 1955 and 1956 aerials show the highway at that spot south of "Clarks Mill" had been realigned by then and there didnt appear to be any sign of previous structures at that point. just north of that however on the area associated the mill (which I understand is a local historic building is a ramshakle collection of farm buildings with a large assortment of "junk" outside them. The resolution of the 1955 and 56 photos doesnt allow identification of any Hudson bits, bit there are a number of possible targets of suitable size. That Sunderland seems determined to make a return post. The last photo is from Don Noble and shows the great condition of many aircraft in the 1950s. On my first visit in 1958 there were still what seemed to me , "operational" aircraft near the boundary. These had many gone in 1962 , when the smelter crew told me that Corsair spares were in demand in South America , hence my control grip cost 7/6 , but P40 stuff was 1/6 a pound. Amazing to think that they all were flown in , parked and left. The local rumour was the purchase cost was recovered by draining the remaining avgas from the tanks while the odd lucky gun collector ended up with a .5 machine gun that had been overlooked. Happy days . Also some of them were packed in every empty space with PX Store cigarettes that the pilots had loaded up in the Pacific, thinking they would get the opportunity to retrieve them on arrival back in NZ, but they never did. One of the operational examples you saw in 1958 was probably John Scullin's one he got running and taxiing as a 16 year old.